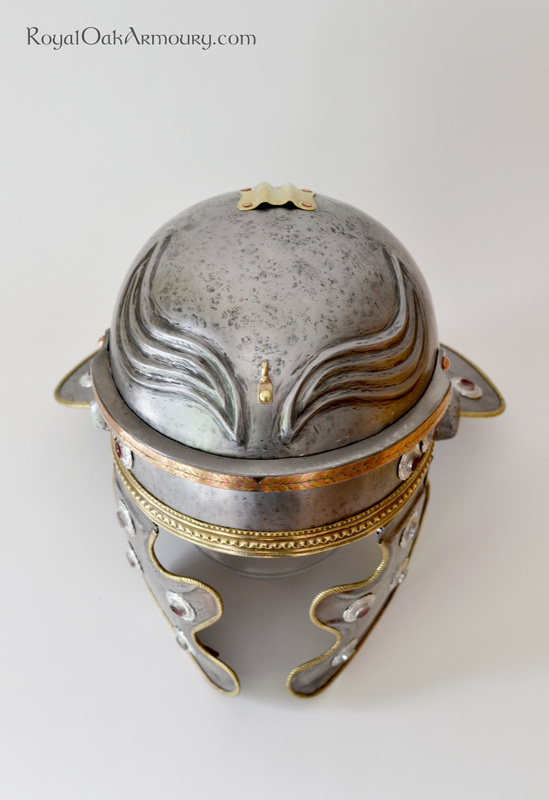 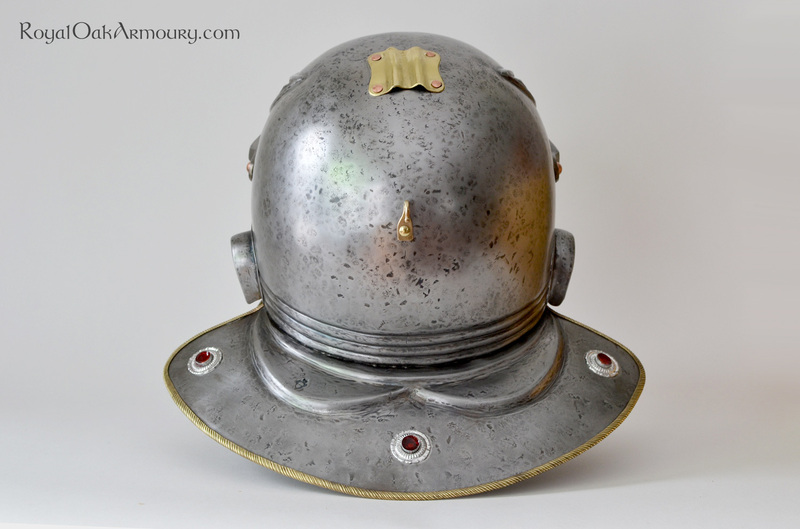 Based on a helmet that formed the basis of Robinson’s “Imperial Gallic D” type, our model relies on early photos and reports of the original helmet, which was all but destroyed in 1945. 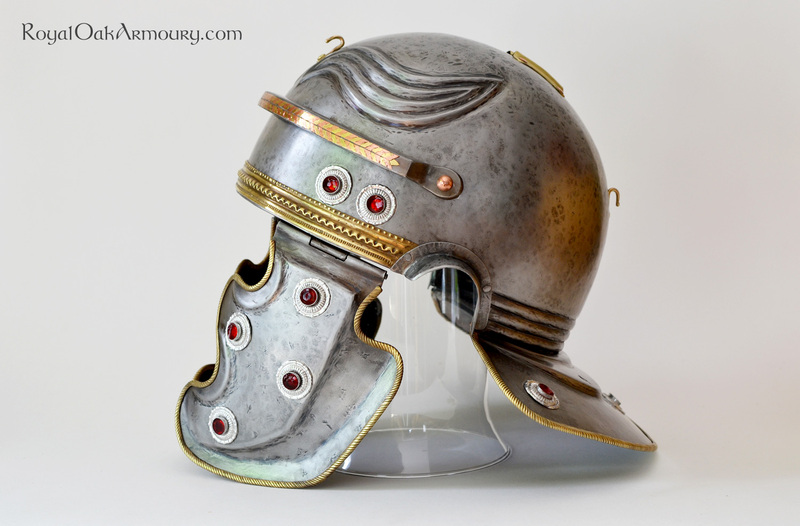 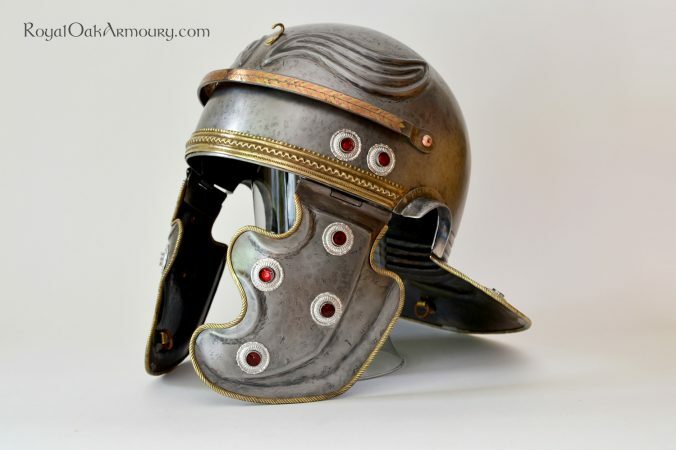 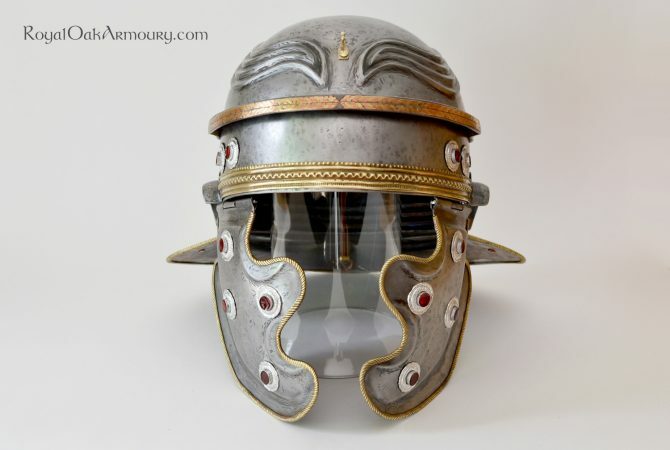 The helmet has been reproduced as we imagine it to have looked when new, rather than with the replacement parts that the Gallic D was discovered with. 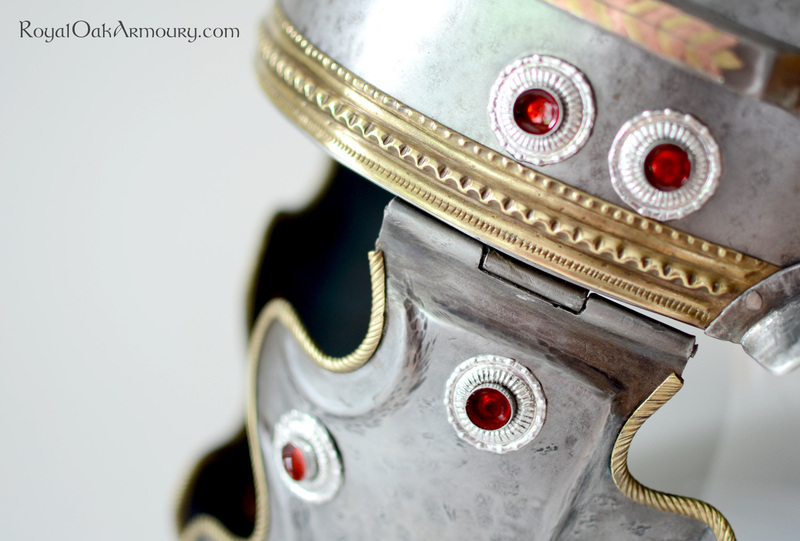 It features 15 silver rosettes with enamelled rivets, roped brass edge trim, inlay on the brow reinforce and a carefully replicated brass band across the brow. A variety of options are available, including a crest and crest holder, transparent or opaque enamel and degree of polish/finish of the various parts. 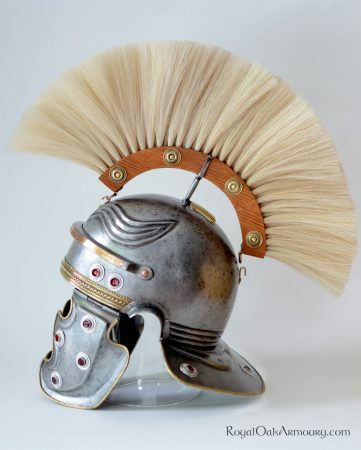 The crest holder shown is forged from a single bar of iron, and is based on an example in the Museum of London; the crest box is of hand-split air-dried oak with undyed silver horsehair.